2018 was wedding season with some high profile wedding like Ranveer Singh -Deepika Padukone and Priyanka Chopra and Nick Jonas taking place. 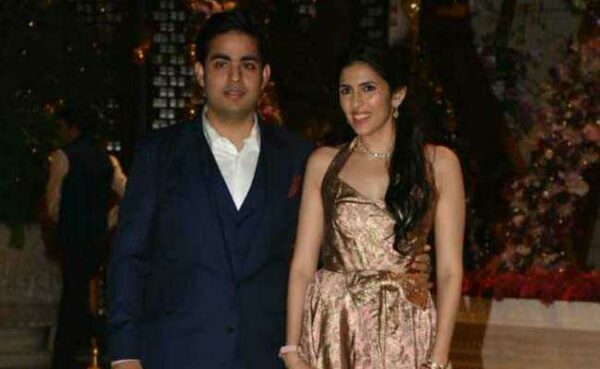 However, the biggest wedding of the year was the grand wedding of Isha Ambani and Anand Piramal. Now, it’s time for another big fat wedding in Ambani’s house. Ambanis went to the Siddhivinayak Temple in Mumbai to get the blessings and also revealed the wedding cards of Akash and Shloka’s wedding. Look at the video of the Ambani clan. “With prayers to Lord Krishna, with blessings of our parents, and with immense joy and happiness, we invite you to the marriage of our beloved son Akash with his soulmate Shloka. Marriage is a bond made in heaven, an eternal promise of love and companionship. As Akash and Shloka turn their childhood friendship into eternal love, they also turn our long and deep friendship with Mona and Russell into the loving bonds of family. We are overjoyed to welcome Shloka in our family as out dearest daughter-in-law, and we wish her and Akash the most glorious life together. As parents our wish for them is for their love to grow stronger, their friendship deeper and their smiles brighter, every single day. May their path ahead be abundantly and eternally blessed. As Akash and Shloka set forth on this divine journey, we look forward to celebrating this most joyous occasion with you, and creating memories that will last us a lifetime. Akash and Shloka are childhood friends. They got engaged in June last year, whereas the wedding will take place at the Jio World Centre in Bandra Kurla Complex in Mumbai on March 9 this year.